I have to agree with the previous poster, this product is completely tasteless. It is also a bit dry so that it doesn’t fold or roll easily into wraps/fajitas. I wasn’t a huge fan. They were soft but I found them very flavourless. They didn’t really toast up as nice as other brands do. 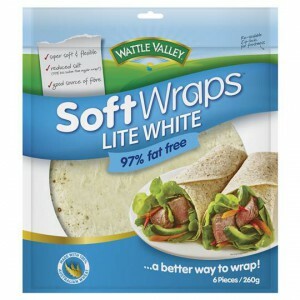 How would you rate Wattle Valley Wraps Lite White?